I was recently issued a challenge to come up with a memorable radio campaign for an upmarket workplace interiors company in London. Having spent a good while on their website, ogling over the glorious HD images and videos displaying their high-end installations for some of the UK’s best known blue-chip businesses, I satisfied myself that this certainly wasn’t a job for one of those flighty Celebrity TV Decorator types. No, this glorious interior design work was all about business! About transforming the building, attracting and engaging customers and motivating staff. 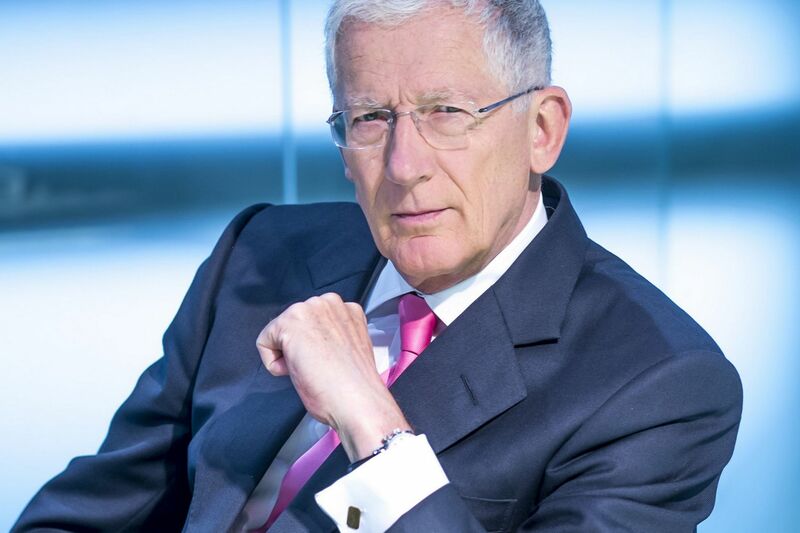 As a result, I began to consider the idea of involving former ‘Apprentice’ stalwart - Nick Hewer and set about the task of trying to contact his voice-over agent. An undertaking made all the more difficult when it quickly became evident that he didn’t seem to have one. As a last resort, I pinged a slightly apologetic email to his public-speaking representative, asking if they could help and waited for a response. And waited. And two days later was still waiting, when the phone rang. “Mark, I’ve got Nick Hewer for you”, proclaimed my colleague Ian. “Crikey!” I blurted out. Quickly composing myself, whilst picking up the call. “Hello Mark, it’s Nick Hewer here”. Was the warm and distinctly upbeat greeting, delivered in his unmistakable tone. “Your email has been passed on to me and I just thought I’d give you a ring to find out a bit more about the project”. He continued warmly. “Well, thanks for calling Nick. Let me tell you about it”. We spoke about it all for a good ten minutes or so though before he eventually declared his hand. “You know what Mark?... I’m not entirely sure this is quite right for me. It might just be a little bit too - commercial”. I told him I understood his position entirely and that I’d wondered whether this may be the case. What I didn’t say was that I had never anticipated receiving this information directly from the horse’s mouth. “Well, thanks for getting in touch and good luck with it all Mark!”. He said cheerily, in closing. I put the phone down, certainly deflated by the fact that I would now have to go back to the drawing board for a voice. But in equal measure, elated by the fact that he had taken the time to talk to me personally at length about my enquiry and in such a wonderfully charming manner. I think we could all learn a lesson from Mr Hewer, a real gent! Getting ‘fired’ never felt so good.